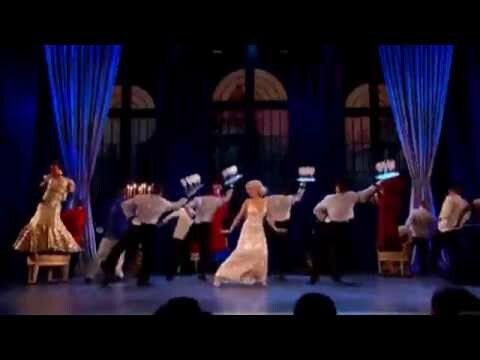 Whether performed with elaborate scenery or on a simple scale, this brilliantly comic musical appeals to audiences everywhere. As in the classic original, the story concerns the efforts of a flamboyant theatrical impresario Oscar Jaffe to persuade glamorous film star (and former amour) Lily Garland to appear in his next production while outwitting rival producers, creditors and religious nut Letittia Primrose. And all this before the 20th Century Ltd. reaches NYC! Setting: Mainly on the Twentieth Century Limited from Chicago to New York. The early 1930s. LILY GARLAND / MILDRED - Soprano; actress and star, spoiled, pampered, megalomaniacal: under it all intelligent and self-doubting. OSCAR JAFFEE - Baritone; brilliant theatre impresario and director of indeterminate age: flamboyant, ruthless, megalomaniacal, indomitable in the face of total disaster. MAX JACOBS - Self importanat young producer: successful, intense, confident. OWEN O'MALLEY - Baritone; Oscar's press agent: a boozer, sardonic, self-satirical. He and Oliver are Oscar's two loyal henchmen. LETITIA PRIMROSE - Mezzo-soprano; middle-aged to oldish lady, presenting a picture of easy breeding, wealth and religious fervor: Actually she is a genuine nut on the loose. OLIVER WEBB - Baritone; Oscar's company manager: plump, ulcerous, worried, fed-up: trying to bring a note of sanity to the surrounding madness. AGNES - Llily's maid, suffering and bored. CONDUCTOR FLANAGAN - Typical solid type. IMELDA THORNTON- Glamorous, imperious, fur-bedecked stage actress. 17 Principal roles, plus chorus. 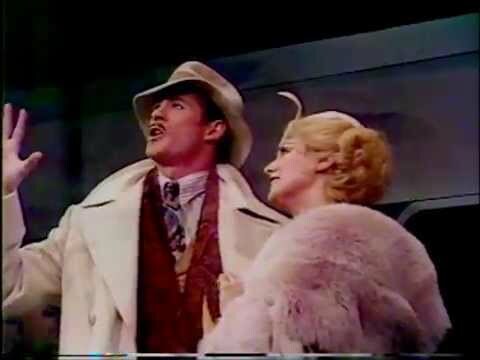 On the Twentieth Century was first presented on Broadway by The Producers Circle 2, Inc., Robert Fryer, Mary Lea Johnson, James Cresson, and Martin Richards at the St. James Theatre in New York City on February 19, 1978. It was directed by Harold Prince.